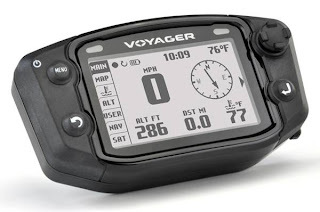 Voyager is the like no other GPS you have seen on the market. 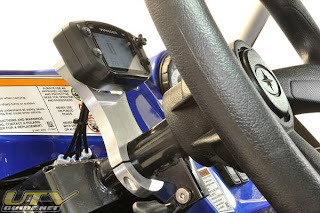 The one and only GPS designed and manufactured for off-road. 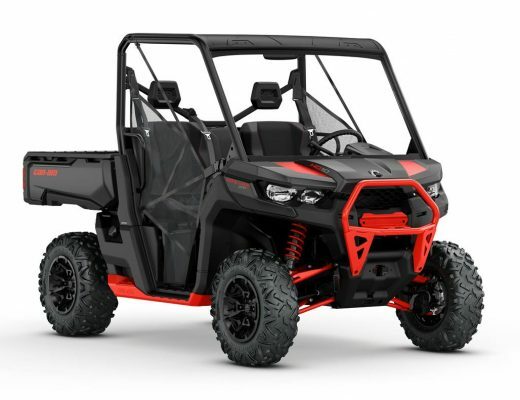 Whether you ride motorcycles, ATVs, Snowmobiles or 4 wheel drives, Voyager is your unit! The Only Meter You Need to Bring: Trail Tech has combined an expertise in off-road meters with the utility of GPS navigation. No longer do you need separate meters: one to monitor your vehicle and another to navigate. Physical sensors and GPS are combined in a single unit, working together to provide a superior off-road experience. Display: The Voyager 400×240 WQVGA LCD display has no rival on the market, featuring incredible resolution and contrast. In intense sunlight the transflective properties go to work creating a bright, vivid display. An LED backlight lights the display after the sun goes down. Mounting: Other GPS systems are not targeted at off-road motorcycles; they typically require optional mounts putting the unit high on the handlebars exposed to expensive crash damage, total loss or possible rider injury. Voyager mounts directly to your vehicle, bolted at or below the handle bars. This unique mounting solution allows Voyager to become an integral part of your vehicle. Voyager is the first GPS product that has a dedicated peace-of-mind mounting system for an off-road motorcycle. Durability: The Voyager is designed to stand up to the normal abuse seen on the trail. Building on years of Trail Tech design experience, Voyager is ready to handle a beating. Trail Tech Crash Tested! Smart Data Logging: When your engine stops so does the GPS trail logging – eliminating random data points from your track when you’re not moving. Voyager provides clear, accurate tracks even in the toughest terrain. Temperature: Voyager provides both ambient and engine temperature. Engine temperature is saved in track data points and graphed for comparison with altitude changes. Diagnostic screens help you review engine performance from past trails. Temperature sensors are available for any air-cooled or water-cooled engine. The only meter you need to bring . . .
Track Manager CD: View, edit, organize and share entire trail systems in 3D. Screens: Data is intuitively arranged and quickly accessed using joy-stick navigation. Diagnostics: Altitude vs. Engine Temperature profiling for advanced GPS diagnostics. Mapping: Accurate tracks, even in the toughest terrain. Pan, zoom, graphs, waypoints, and more. Sharing: Waterproof, easy access MicroSD card reader allows sharing of routes, even on the trail. Trail Tech Inc. is a leading edge manufacturer of the highest quality aftermarket lighting components, electrical systems, and digital meters available to the adventure sports market.